Dream Create Inspire: E.A.D. Inspired By Teri Anderson Go To Gal Blog Hop! E.A.D. 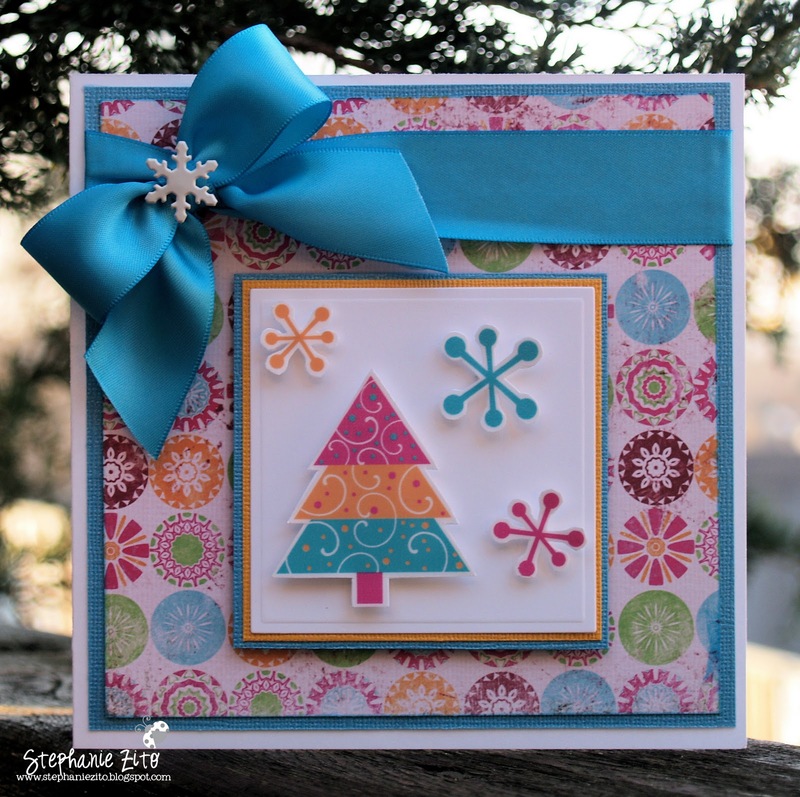 Inspired By Teri Anderson Go To Gal Blog Hop! Happy Monday! I hope you had a great weekend! Today's E.A.D. Designs Monday Hop is inspired by the Go To Gal Teri Anderson! You should have arrived at my blog from our incredible GDT Yvonne, if not, please start the hop at the E.A.D. Designs Blog! I was inspired by Teri's card by #1) The sketch/design and #2) the non-traditional colours she used. Products used on my card: Bazzill and Neenah cs, Fancy Pants dp, E.A.D. Designs Snow Fun Stickerz, Versacolor ink, u/k brad, Nestabilties and Fabric Land ribbon. Your next stop on the hop is the fabulous Joanna! Also, 1 lucky blog hopper today will win the November Monthly Steal!!!!! Make sure you complete the hop and then leave a comment on the E.A.D. Designs Blog for your chance to win! Good luck! Just GORGEOUS Stephanie! Love your inspired by design! So bright and cheery! This is so adorable!! Love the paper you used! Beautiful card, the ribbon and paper match perfectly! This is so beautiful! 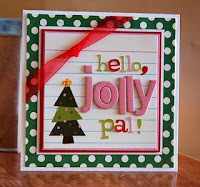 The fact that more cards are created with non traditional colors is great! Makes for cleaning out my stash so easy. I love the colours and think your theft was well worth it! Beautiful card. What fun! The colors and those super cute snowflakes. This will definitely make the recipient smile! Your cards are so spectacular!